Are our students prepared for the 21st century? As Canada moves forward with a technology and innovation-based workforce, we know that our students need to graduate with critical minds and the necessary skills to succeed in a highly competitive technology-based global market. The need for innovation is clear and has been recognized across Canada. “The worldwide concern towards declining interest in science and technology among young people is shared by Canadian educators, as ongoing progress requires a science-literate population from which top research talent can grow,” states Maria Adamuti-Trache in a report funded by the Canadian Council on Learning (CCL). 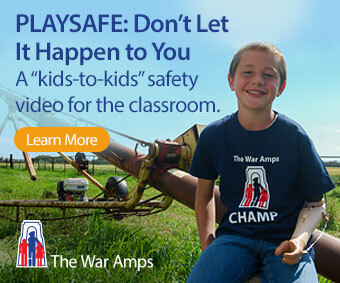 Other CCL funded articles explore learning through tools like video games. Canadian institutions, like the British Columbia Innovation Council, facilitate innovation through science and technology by working with students and educators on outreach programs. Many teachers in Canada are integrating new digital assets into their lesson planning and seeking funding from their administrators at school and municipal levels to help support integrated technology and training. A school in the Toronto Catholic District School Board has been running a pilot project with Spongelab Interactive. The Biology 12 class has been using Genomics Digital Lab, a curriculum-aligned, integrated on-line learning environment with full realtime assessment tools. Students race against the native RNA polymerase and try to transcribe the gene without causing too many mutations while rocking out to their favourite tunes with the game Transcription Hero. Another game in the Genomics Digital Lab series uses rich graphics and animation to engage students in a discovery- based process to save a dying plant by identifying the correct air, light and soil conditions. 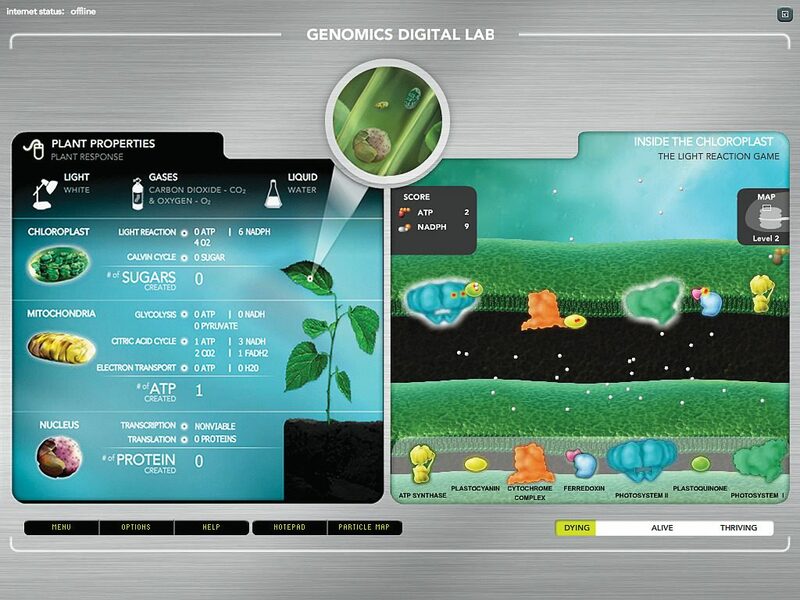 One teacher commented that Genomics Digital Lab connects difficult to grasp biology concepts and real life issues, making the content fun and relevant, and is presented in a non-linear medium that students responded to and felt comfortable with. The education process is complex and it can be challenging to decipher all the research surrounding the impact of technology and digital assets in the classroom and more specifically, their role in educating science students. When compiling much of the research and looking at specific case studies of schools, it becomes clear that as educators, we need to step away from a “… one-way, one-size-fits-all, teacher-focused model where students are isolated in the learning process,” said Don Tapscott, professor at the University of Toronto’s Rotman School of Management, chair of nGenera Insight and author of Growing Up Digital and Grown Up Digital: How the Net Generation is Changing Your World. The task, while it can feel daunting, doesn’t have to be. Here are a few places to start. What tools are available to you in your classroom? The key as a facilitator lies in the ability to support learning in a tech-integrated learning environment. Help your students understand the significance of their factual understanding by making relevant connections to concepts. In a recent Biology 12 class, students, prepping for their exams, moved through key concepts by teaming up to play online games as well as having open discussions about relevant case studies guided by rich 3D animations and graphics. Class demonstrations: use rich 3D animations and simulations to help students visualize difficult to grasp concepts in science. Play: get students enthralled in competitions by playing the science through interactive simulations. Questions: promote increased engagement by posing questions to the class while one student plays the game. Discussion and debate: step outside the mechanics with case studies to focus on the environment and real world of biology. Assign homework: find content that students can access from their own computer to engage in discovery based learning and build their critical thinking skills. Student digital experts: assign a student with a keen interest to help you set up for a class using digital assets and tools. How to get the Technology and Content into your classroom? Now that you have identified tools and content you would like to integrate, where do you look to for support? Make your needs known to your Department Head. Advocate to your curriculum leader at the Board level. Rally other teachers to approach the board and your provincial government. Our students look to our educators to help prepare them for what is increasingly becoming a competitive, fast-paced, tech-savvy environment. With all the new advancements in tools and assets designed specifically with teachers and education in mind, there is an enormous opportunity for development of critical thinking, problem solving, communication, collaboration, creativity, innovation, greater breadth/depth of understanding, engagement in science and finally fostered connections between teachers and students. Most importantly, have fun experimenting and reaping the rewards of your new approach! Lisa Barnes is Marketing Director at Spongelab Interactive, a company dedicated to creating educational game-based learning tools designed around discovery-based learning and critical thinking. She has worked in the education field for over seven years, in a not-for-profit capacity to advocate for literacy and most recently to support and market emerging tools in advancing education to the secondary and post secondary sector. Lisa currently lives in Toronto with her husband and is expecting her first child.